Suffering from dry, itchy, red or burning eyes? This may be caused by skin and eyelid inflammation, that affects millions of Americans every year¹. In fact, over 85% of skin and eyelid inflammation patients also suffer from inflammatory ocular conditions, such as dry eye². 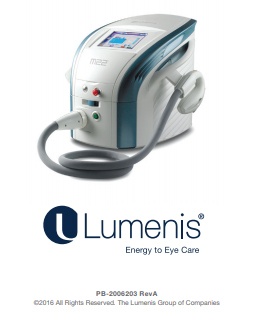 Lumenis Optima™ IPL is a revolutionary treatment for skin and eyelid inflammation, which in many cases is the root cause of your ocular problem. ¹National Rosacea Society. Barrington, Illinois; NRS; 2012. ² Viso E, Millán AC, and Rodríguez-Ares MT, Rosacea associated meibomian gland dysfunction – an epidemiological perspective, Eur Ophthalmol Rev, 2014; 8(1):13-16. IPL is Intense Pulsed Light, a technology used for various skin treatments. Lumenis Optima™ IPL revolutionary treatment gently and effectively treats your skin and eyelid inflammation with maximal safety, comfort and full customization to your skin type and condition. Lumenis IPL is trusted by leading professionals around the world and is FDA cleared for over 20 different skin indications. Lumenis energy-based treatments must be performed by a physician or an authorized provider in your region. Be sure to consult with your treatment provider before choosing this treatment. With IPL technology, light pulses penetrate the tissue and create heat, targeting the abnormal vessels that are the root cause of the inflammation. The body’s natural reaction to the treatment removes the abnormal vessels and heals the inflammation threatening the skin and eyelid. 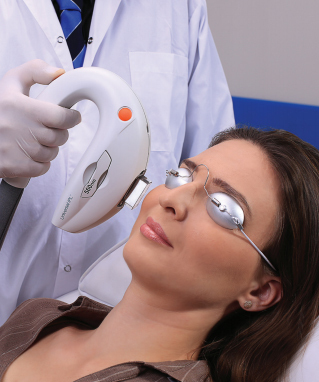 IPL technology treats your skin and eyelid inflammation while improving overall skin appearance. To ensure utmost comfort, your physician will apply coupling gel on the treatment area. For your eyes safety, you will be wearing IPL protective goggles/pads during the whole treatment session. Each session lasts approximately 15 minutes. During the treatment, you might experience a warm sensation as light is applied to the skin, but the treatment is gentle and should not feel uncomfortable. Following the IPL treatment, your physician may perform meibomian gland expression, which is an optional procedure to accelerate your skin and eyelid healing process. Immediately following treatment, you may experience some redness around treated areas that will usually disappear within a few hours. In most cases, makeup may be applied immediately, and daily activities can be resumed the same day. Your physician should advise to stay out of direct sunlight for a few days following the treatment and apply sun screen. 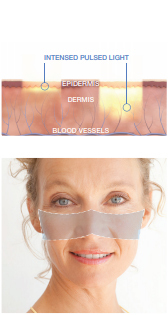 Skin and eyelid inflammation can be relieved with as few as 1-2 treatments. Typically 4 sessions with 3-4 weeks in between are needed to achieve optimal results. Following the full treatment session, it is recommended to consult your physician on maintenance treatments for optimal long term results (usually once every 6-12 months).